November is here. The weather is cold. This Arizona girl is freeeeezing in upstate NY. Lets stay inside and eat chocolate and drink lot of coffee. Deal? Good. Thanks. I need all the support I can get. 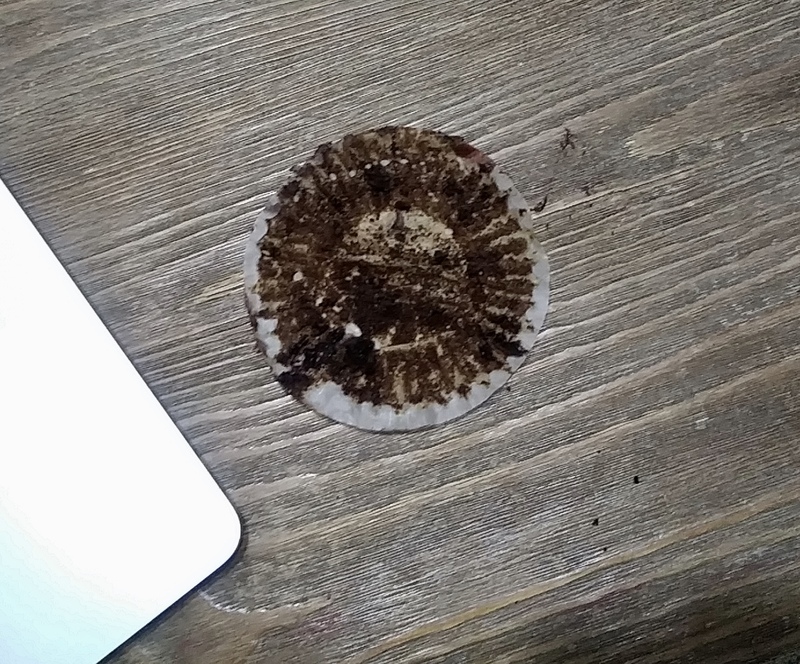 I have the perfect treat for you. And its easy. Double bonus. You know that canned pumpkin or fresh pumpkin puree you might have now that Halloween is over and Thanksgiving isn't quite here yet.... grab that. I want to show you this cool, semi healthy trick. The name of this recipe is ridiculous. 9 words might be a bit much for this title, maybe. You see....My awesome amazing super helpful mom was just here visiting and we were talking about different ways to make oatmeal cookies with and without cranberries, white chocolate chips, walnuts, etc and what we came up with was completely crazy long. 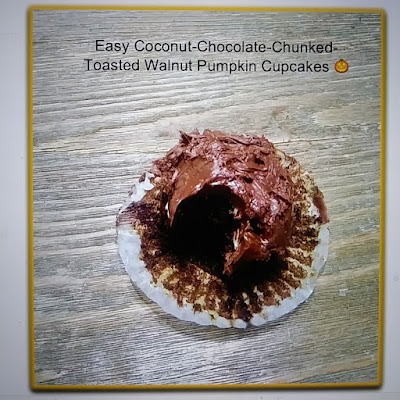 But it was pure inspiration for changing up my "go to" pumpkin cupcake recipes. The fun additions like chocolate chunks, unsweetened coconut flakes, and toasted walnut pieces just turn something mundane into extra special coffee house kind of lets-celebrate-life special. Trust me. I just anciently ate one while taking pictures for the blog because I couldn't stop myself. Lol. They are that good. 2. Read the list of ingredients on the back - most of them require 2-3 eggs, 1/4 cup of oil, and 1/2 or so of water. You'll need all that stuff the box mix calls for. 1. Preheat your oven to the temp on your box probably 350-400 degrees. 2. Mix together the chocolate cake mix as directed on the back of the box. ONLY use 1 Tbs of the oil or butter and sub the rest with the 1/2 can of pumpkin puree. 3. Line cupcake holders with liners and spray them with nonstick spray. 4. If you are using walnuts, toast them in a nonstick pan for 3-5 minutes over medium heat on the stove until you can smell them. Cool them slightly for a couple minutes and stir them into the cake mix. 6. Pour the cupcake mix into the liners then add the chunks or chocolate chips. I just sprinkle a small handful into each section and most of them sink into different spots as they bake. 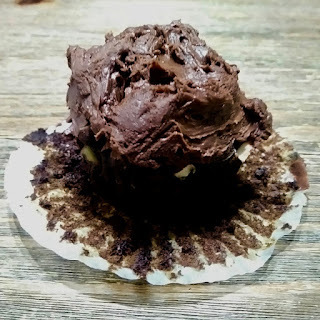 If you are in a hurry, you can just add them to the mix with everything else but this just guarantees that every cupcake has a small handful and they aren't at the bottom of the cupcake. 7. Bake as directed on the cake mix box. Most cake boxes give specific baking directions for each size of cake pan as well as cupcakes. I do overfill my liners though to create slightly bigger cupcakes so instead of making 24 small cupcakes - do 16 or 18 medium sized treats. 8. Test the cupcakes using a cake tester or a toothpick. When they are done. Cool the cupcakes in the pan for a minute and then onto a cookie rack or plate. 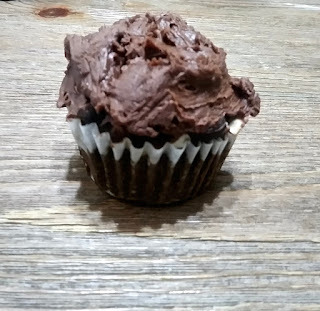 Once they are cool to the touch frost them with your fav chocolate frosting. Super delish. Actually a little Healthy. Super Easy. Enjoy and Stay warm. Enjoy fall. Hi there. My name is Stephanie. I am 30 something mom of two boys. My favorite things are cooking, being outside, & my family. We are former Cali residents, and newer Arizona transplants, which all collide happily with this Washington state girl's food influences. Enjoy the mix of the north, west, and south with some of my recipes. Eat well.